Devices and Operating Systems are monitored by way of security agent or configuration. Activity, Configuration, Data including Files and Logging is constantly checked and flagged for audit requirements or suspicion of unwanted activity possibly intrusion. Audit and suspiciously flagged data is immutably logged to an isolated off-solution location. Web Interface is provided for flagged data correlation and audit retrieval needs. Suspiciously flagged data is analysed, verified and alerted for further attention (HIDS and NIDS). Agent installation, configuration, maintenance and patching with optional snort licensing. Server installation, configuration, maintenance and patching with optional backup. 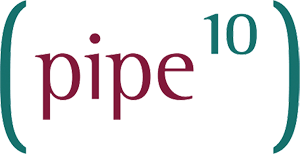 Optional additional response service, whereby Pipe Ten monitors the logs and alerts on the customers behalf. After successful deployment, configuration and optimisation; the security monitoring service may optionally be extended to include Prevention (HIPS and NIPS) in addition to Detection.